Used Land Rover Range Rover Velar Review - 2017-present | What Car? 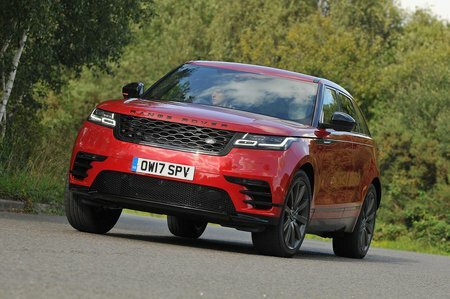 What's the used Land Rover Range Rover Velar estate like? SUVs are very much in fashion at the moment and nowhere more so than in posh parts of towns and cities, far, far away from dirt roads and mud. Car manufacturers have known for years that very few SUV buyers take their vehicles off-road, so it makes sense for them to offer a car that puts style and on-road driving dynamics ahead of everything else. This is where the Range Rover Velar comes in. When it was new, the Velar was intended to fill the gap between the Range Rover Evoque and Range Rover Sport. It also goes up against rivals like the BMW X4 and Mercedes-Benz GLC Coupe. You get a choice of either a 2.0-litre four-cylinder petrol in the 247bhp P250 and 296bhp P300; or a 3.0-litre V6 petrol engine in the 375bhp P380. Then there is a 2.0-litre four-cylinder diesel in the 178bhp D180 and 237bhp D240; or a 3.0-litre V6 diesel engine in the 296bhp D300. The four-cylinder diesels can be a little rattly when cold but quieten down a bit when warm, while the V6 engines are smooth and quite brisk. The ride varies depending upon which suspension and alloy wheel option you have. Traditional springs four-cylinder models work best with the smallest 19in alloy wheels since the ride can get quite fidgety on rough, pockmarked roads. Air suspension is standard on V6 models and provides a with a ride to suit your mood. Comfort mode has a nice, wafty ride, while dynamic stiffens things up to improve the handling if you want to up the pace. 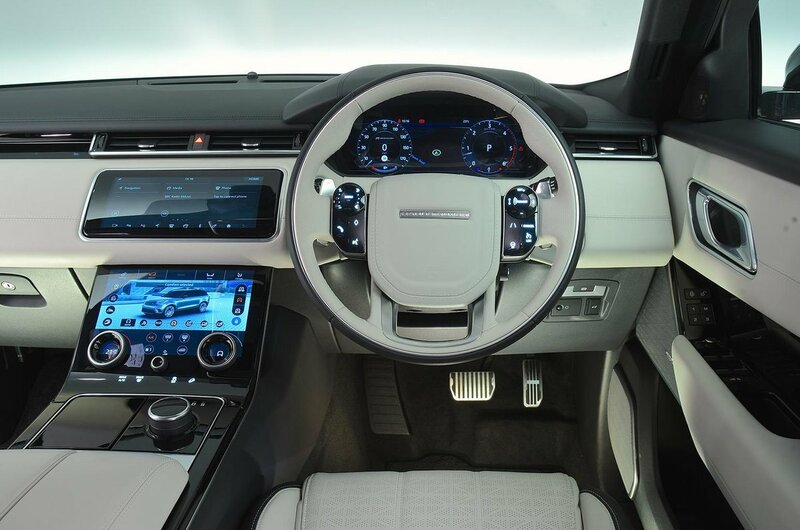 Buttons are a thing of the past in the Velar because the dashboard is made up of two touchscreens. Apart from two rotary control dials on the lower screen (which deals with climate and driving modes) that control various functions depending on what is displayed on the screen at the time. The one above looks after sat nav and media related screens. SE and above Velars get a 12.3in configurable display where the speedo and rev counter go. It’s similar to Audi’s virtual cockpit except it’s not quite as slick. One major technology omission is Apple CarPlay and Android Auto. There is a Land Rover app that gives you some smartphone mirroring capabilities, but it’s awkward to use. Space in the front of the Velar is fine, even for taller drivers. You get a lofty driving position that affords you a great view out over the road ahead. In the rear, however, things are not so good. Headroom is fine, but legroom isn’t brilliant for those that are long of leg. The boot is actually not as big as its rivals despite Land Rover’s claims. This is because they measure right up to the roof rather than to the window line as most car makers do. There is, at least, a flexible 40:20:40 split folding rear seat bench, though.